Are You Charged with Contempt of Court? In my previous post, I wrote about the roles that protest and civil disobedience have played throughout our history. I also wrote about the potential consequences of participating in acts of civil disobedience in breach of an injunction, namely charges of civil or criminal contempt of court. You may want to read that post before reading this one. Since Monday of this week, when a BC Supreme Court judge stated that the people arrested on Burnaby Mountain be tried for criminal rather than civil contempt of court, we have been asked what the difference is between criminal and civil contempt. I’ll answer that question, and provide some information on the offence of criminal contempt of court as well as sentencing. Civil contempt is where a person or corporation breaches a court order, and the nature of the conduct interferes with the interests of another private party. Criminal contempt is where a court order is breached, but the nature of the conduct interferes with the public’s interest in the “proper administration of justice”. Conduct that is determined to interfere with the proper administration of justice is criminal contempt. It is the nature of the conduct that determines whether there is civil versus criminal contempt. The determination of whether the nature of the conduct is civil or criminal is made by the court in the course of the proceedings. Contempt of court is an unusual offence. Unlike other civil proceedings, a proceeding that begins as civil contempt may transform into one for criminal contempt. If the court determines, based on the evidence, that the conduct is criminal rather than civil in nature, it will request that Crown Counsel assume conduct of the prosecution from the party who obtained the court order. When the contempt transforms from civil to criminal, so too does the form of the proceeding. Proceedings for civil contempt of court are governed by Rule 22-8 of the Supreme Court Civil Rules, BC Reg 168/2009. Proceedings for criminal contempt are governed by the conventions of a summary criminal trial. Such a trial will have the constitutional protections of a standard criminal trial, including the right to cross-examine Crown witnesses. Criminal contempt of court is a common law offence (set out in case law) that is not codified into the Criminal Code, R.S.C., 1985, c. C-46. However, Section 9 of the Code sets out powers of the court to hear charges of criminal contempt. mens rea: the knowledge or intention of wrongdoing of the accused. that the accused possessed the intent, knowledge or recklessness as to the fact that the public disobedience will tend to depreciate the authority of the court (the mens rea). Trial judges have the authority to impose sentences for people convicted of criminal contempt of court. Sentences are considered on a case-by-case basis. Because judges have discretion in sentencing, it is difficult to pre-determine what a sentence may be for a conviction of criminal contempt of court. However, looking at previous sentences for criminal contempt in the context of mass civil disobedience – for example, Clayoquot Sound in the early 1990s – may serve as a guideline. Prior to Clayoquot Sound, sentences for contempt of court in the context of environmental protests were fairly lenient. Sentences for first-time offenders included nominal fines and suspended custodial sentences. Repeat offenders received harsher sentences. However, some first-time offenders convicted of criminal contempt in Clayoquot received custodial sentences i.e. jail time. An example is the case of six people convicted of criminal contempt of court for blocking the Kennedy River Bridge near Clayoquot Sound in July of 1993. A larger organized group locked arms on the bridge to prevent workers of MacMillan Bloedel from accessing logging sites. This action took place with many media organizations present. custodial sentences of 45 days. a suspended sentence for one of the people convicted due to special circumstances. Convictions and sentences for criminal contempt of court can be appealed under Section 10 of the Criminal Code. At the time of this posting, over 150 people have been arrested on Burnaby Mountain, and trial dates are fast approaching. We will be keeping our eyes and ears open over the next few months, and will continue to post more in the near future. Everywoman’s, ibid, at para. 76. See MacMillan Bloedel Ltd. v. Simpson, 1994 CanLII 2149 (BC SC), http://canlii.ca/t/1dmh5, an example of a case where a group of protesters on the Kennedy River Bridge were found guilty of criminal contempt of court. Section 731(1)(a) of the Criminal Code states: “Where a person is convicted of an offence, a court may, having regard to the age and character of the offender, the nature of the offence and the circumstances surrounding its commission,(a) if no minimum punishment is prescribed by law, suspend the passing of sentence and direct that the offender be released on the conditions prescribed in a probation order.”, http://laws-lois.justice.gc.ca/eng/acts/C-46/page-185.html#h-269. Brown, ibid, paras. 71‑72. 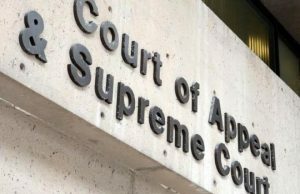 The majority of the Court of Appeal overturned the trial judge’s imposition of fines because no assessment was done to determine the person’s ability to pay. Section 734(2) of the Criminal code states that: “Except when the punishment for an offence includes a minimum fine or a fine is imposed in lieu of a forfeiture order, a court may fine an offender under this section only if the court is satisfied that the offender is able to pay the fine or discharge it under section 736.”, http://laws-lois.justice.gc.ca/eng/acts/C-46/page-187.html#h-270. Brown, ibid, para. 53. The majority of the Court of Appeal found that the 45-day custodial sentence issued by the trial judge was a “fit” sentence. The majority also found that a custodial sentence of more than 45 days would be “fit” in the circumstances. Previous Post: We’re hiring: Join our team as our new Articling Student!